Peplums Heroes are usually able to overcome every obstacle with their might but what happens when a bunch of bag guys are about to skewer him with multiple arrows/lances shot at the same time? 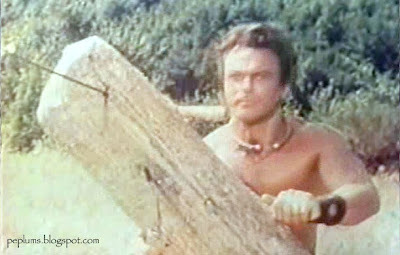 Don't worry, our quick witted hero picks up a beam of wood or tree trunk and voila! piece of wood beam. Woah, that was close. From GOLIATH AND THE VAMPIRES. 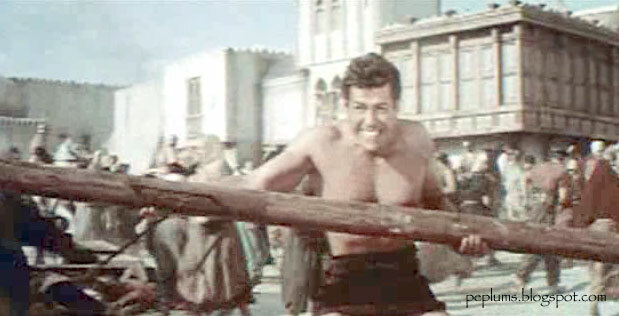 Mark Forest in HERCULES AGAINST THE MONGOLS. That's one arrow and then two. 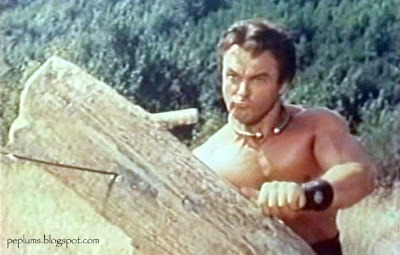 Publicity shot of Alan Steel from HERCULES AGAINST THE MOON MEN. In this scene, it's spears, not arrows. These films were all great fun. 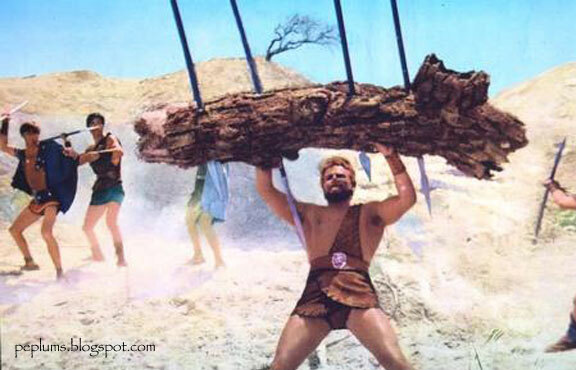 One scene that always stuck out in my mind since I saw it when I was a kid was Steve Reeves with those chains in HERCULES talk about bringing down the house!! I agree. I think it's something most movies are missing today it's the wow factor kids have when seeing big superheroes do cool stuff, not just CGI and tons of noise. I called it the "fascination" aspect, like when a kid looks up at a big Steve Reeves-type with his mouth open in amazement.